Innovative technology is a moving target that will impact the independent insurance industry for as long as the industry exists. Innovative technology is a moving target that will impact the independent insurance industry for as long as the industry exists. Mobile technology, the Internet of Things, artificial intelligence, drones, technologically advanced automobiles, big data and analytics come into play for the insurance industry frequently. So, how can independent agents prepare their business as new technology is unveiled nearly every day? Let’s look at some examples in the auto industry, which is being disrupted by technology constantly – from how people drive their cards to ride sharing. Ride sharing encourages people to use transportation without owning a car or to share their car with someone else to reduce costs. These technological advancements have spawned changes in the auto insurance industry allowing policyholders to buy short-term auto insurance, among other things. 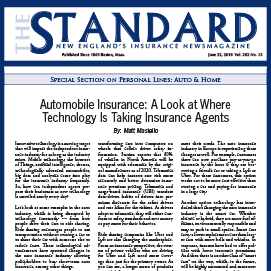 Read the full article, written by Matt Masiello, Executive Vice President and COO of SIAA, published June 22, 2018 in The Standard.